To get started, head to your dashboard then click on Schedule in the sidebar. We recommend using a computer over a tablet or mobile device to create your schedule initially. By default, the schedule will show you this week, in 15-minute segments. You can change the week using the back/next buttons in the upper left. You can also change the view between 1 hour and 5-minute segments using the option at the bottom of the screen. 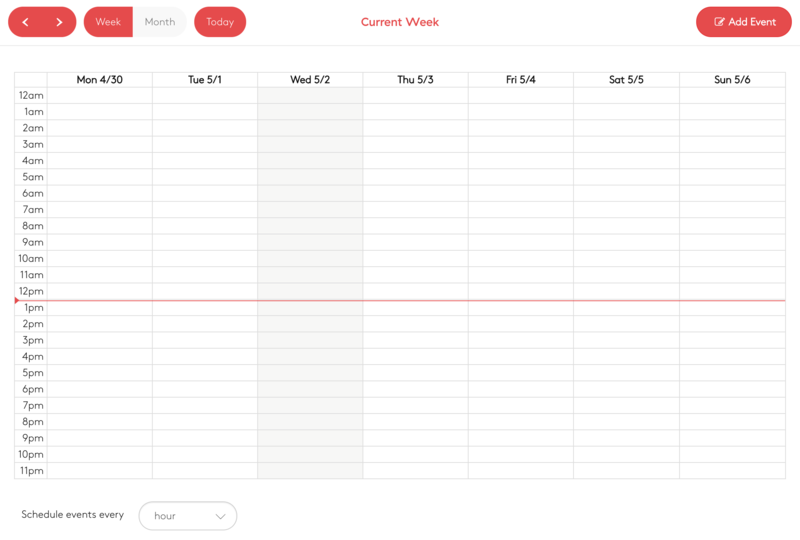 See a month overview of your schedule by clicking Month. Return to this week's view by clicking Today. 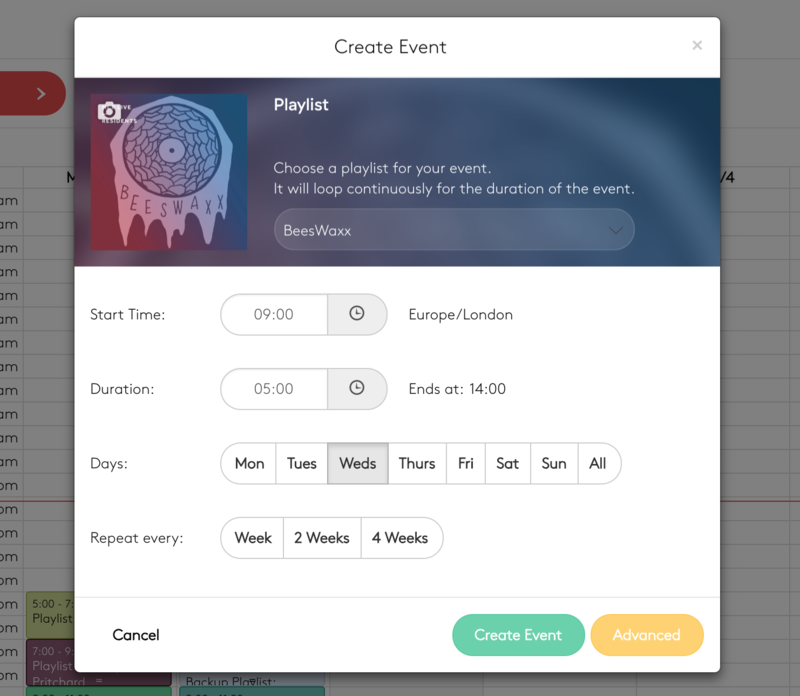 To create an event, click the green Create Event button. 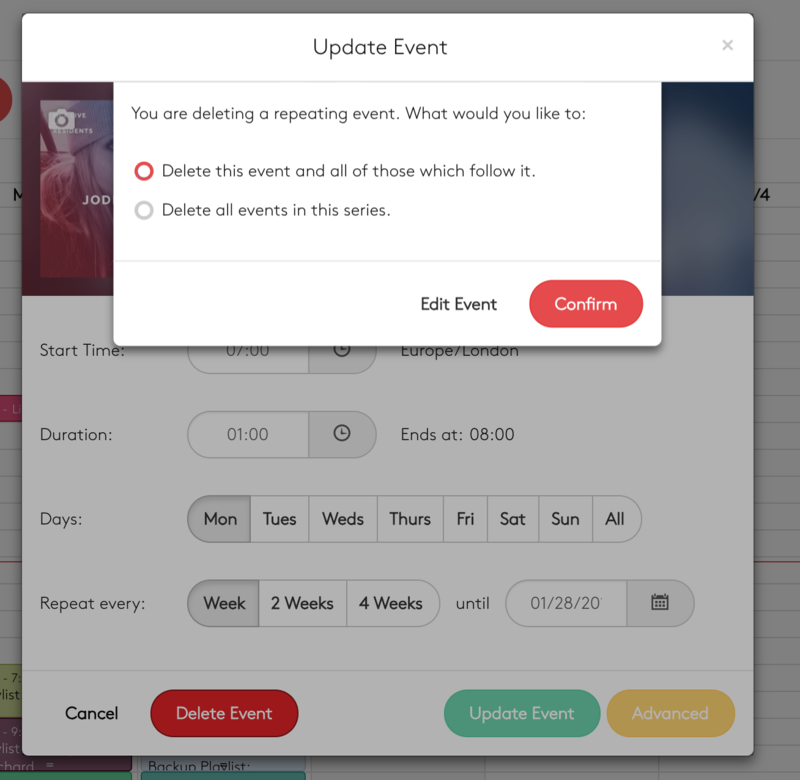 Adding recurring events may take a few seconds to save. A progress wheel will be displayed. 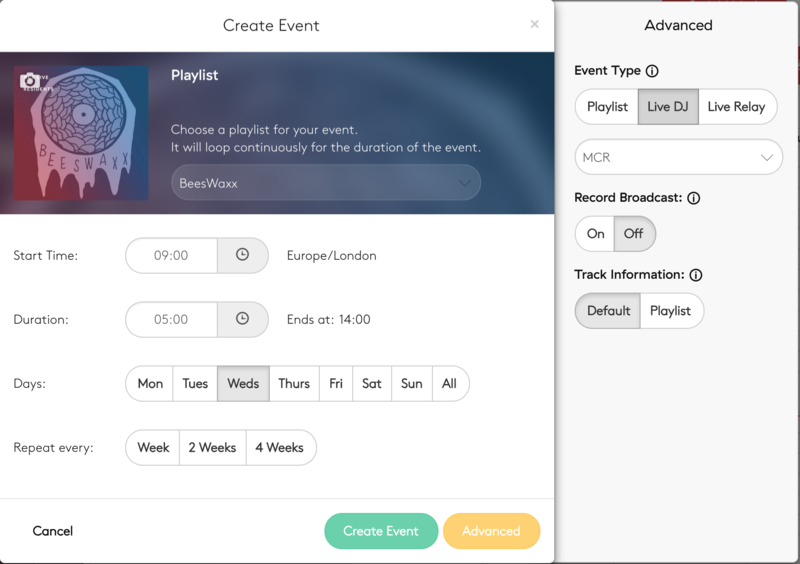 Overrun: Playlist events only - When enabled, at the end of a scheduled event, the current track will continue until the end. The next playlist will start later than scheduled. When disabled, the next playlist will interrupt the current playing track so it starts on time. Make your changes then click the green Update Event button. If your event is singular, it will save and the popup will close. Choose an option then click Confirm. The event will be updated. If you are updating a repeating event, please allow additional time for it to save.